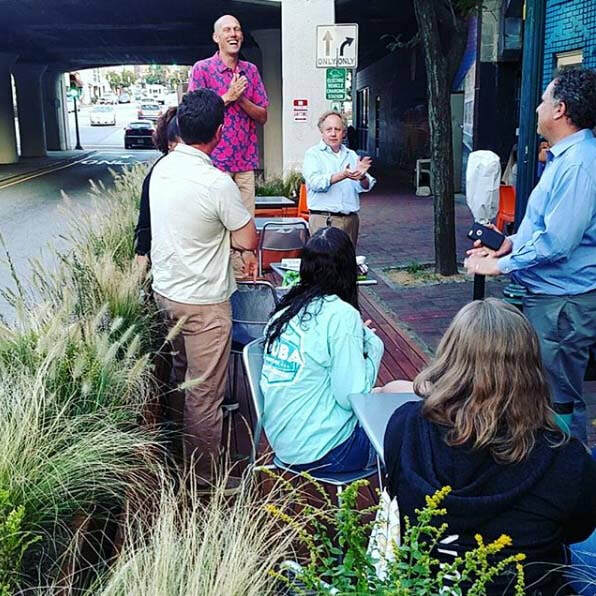 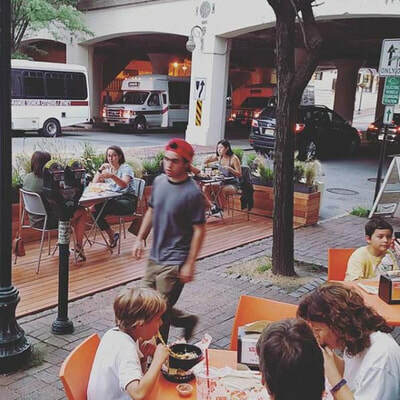 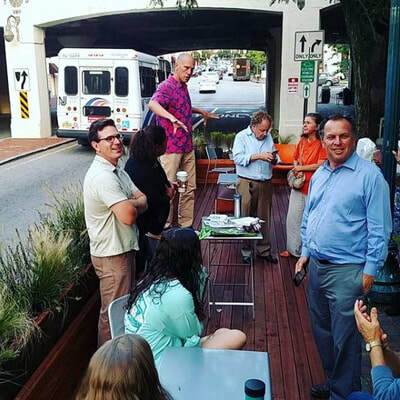 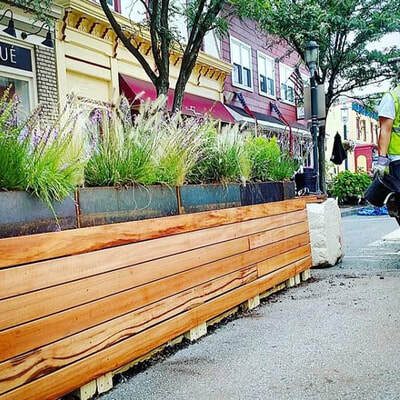 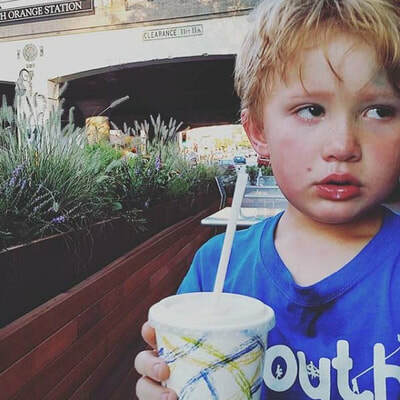 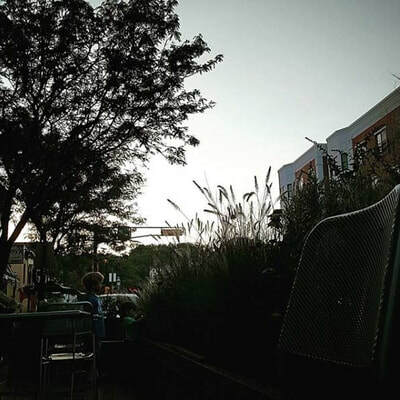 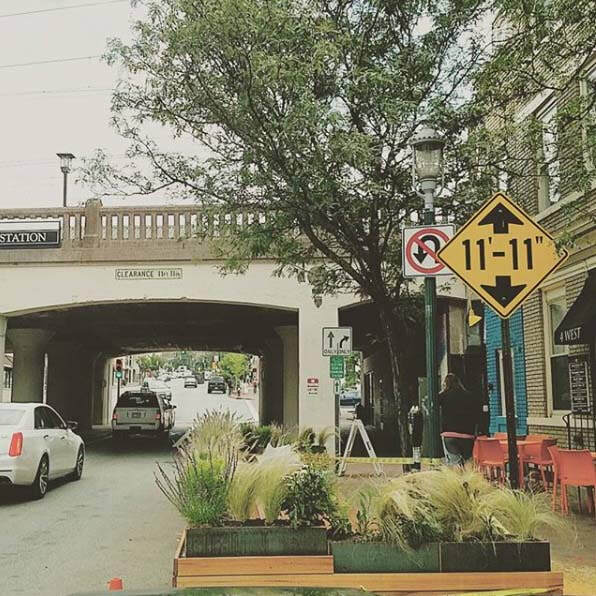 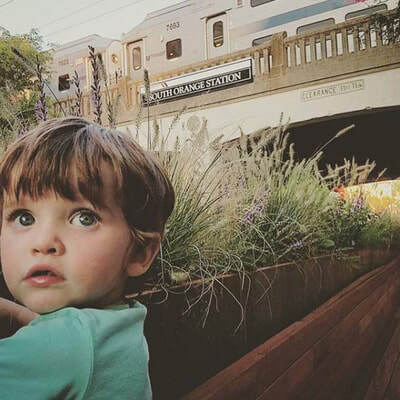 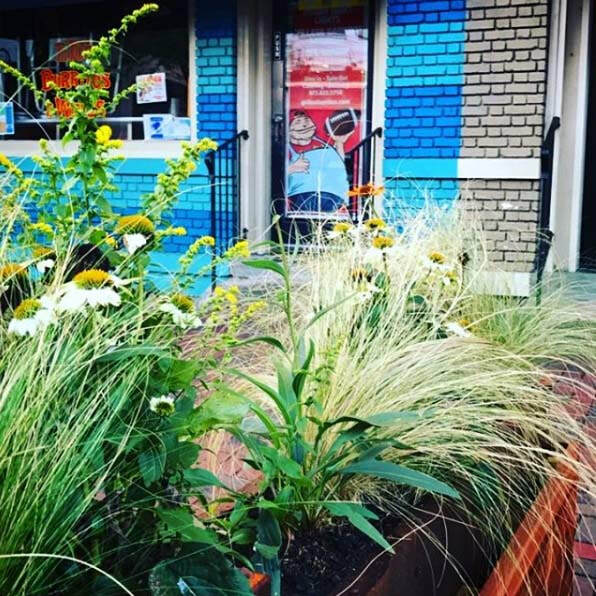 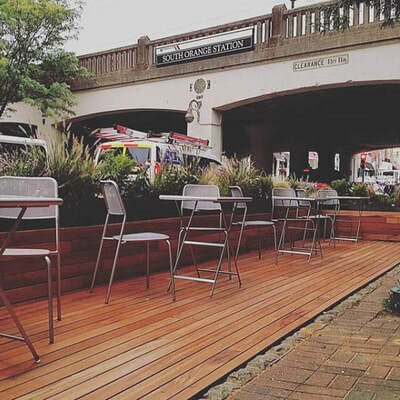 The South Orange Parklet is an ongoing exercise in making the downtown area of South Orange more people and business friendly. 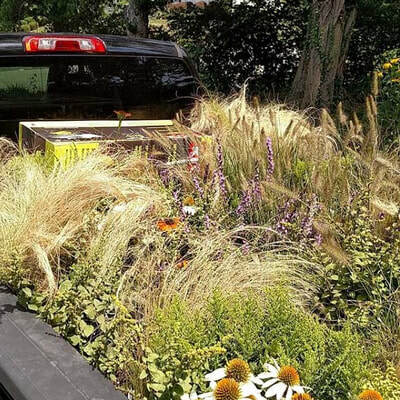 The technical details are straightforward: take 2 parking spaces and transform them into a mini-public park…and make it as sustainable as humanly possible. 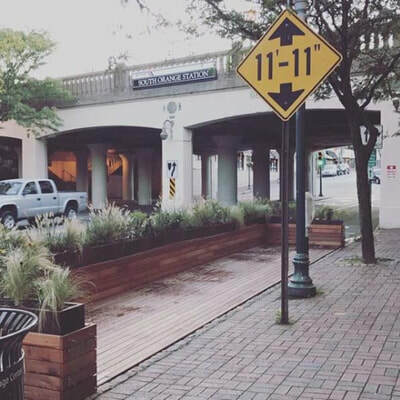 That’s exactly what we did. 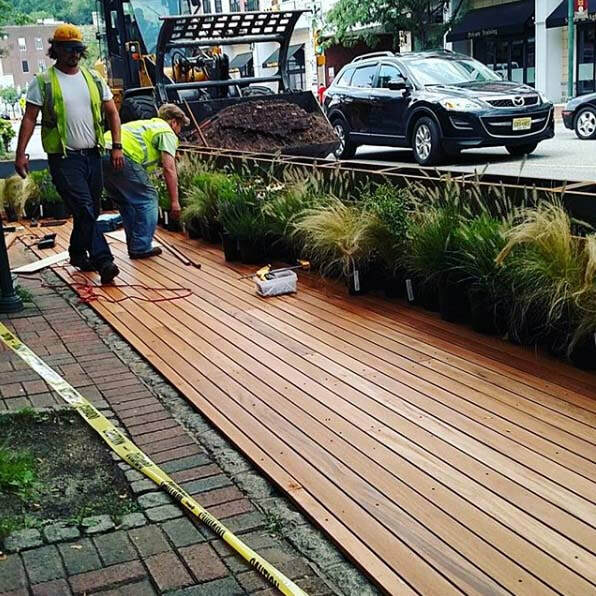 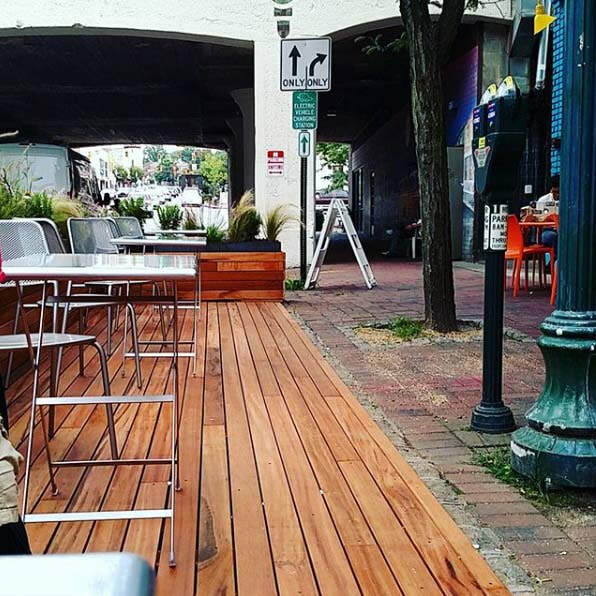 We designed the parklet that fit into two spaces right in front of several businesses in the heart of South Orange. 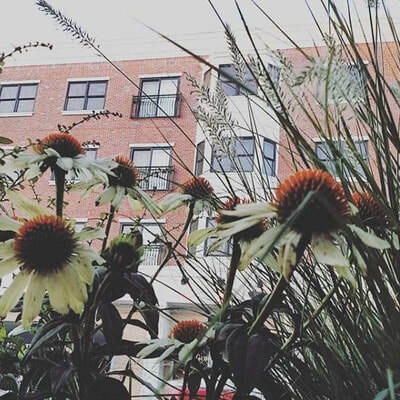 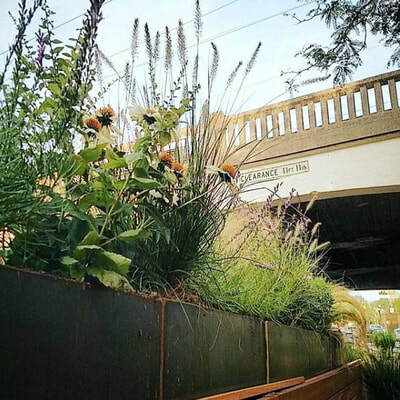 We used sustainably forested hardwoods along with native coneflowers, grasses and other perennials. The planters were made of recycled materials and the elbow grease to put the whole thing together was locally trained & sourced. 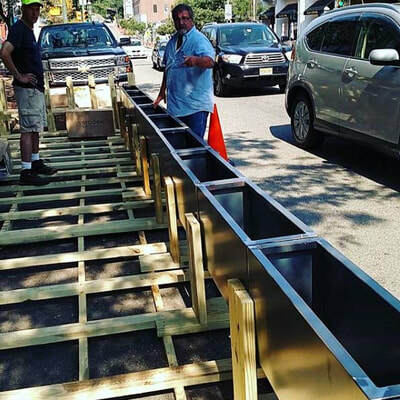 The project wasn’t a simple design/build project however. It took nearly three years of meeting with residents, leaders and businesses to make it happen. Thankfully, everything worked out (though there were some moments it seemed it wouldn’t). 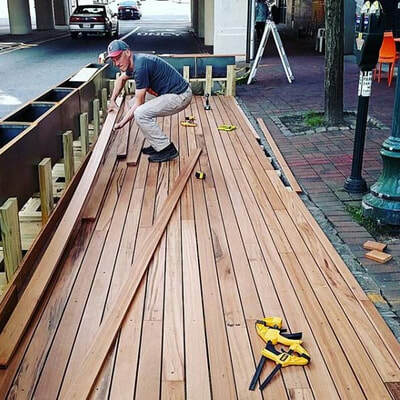 The parklet was first constructed in August 2017 and is scheduled to be reinstalled each year as the weather turns warm. 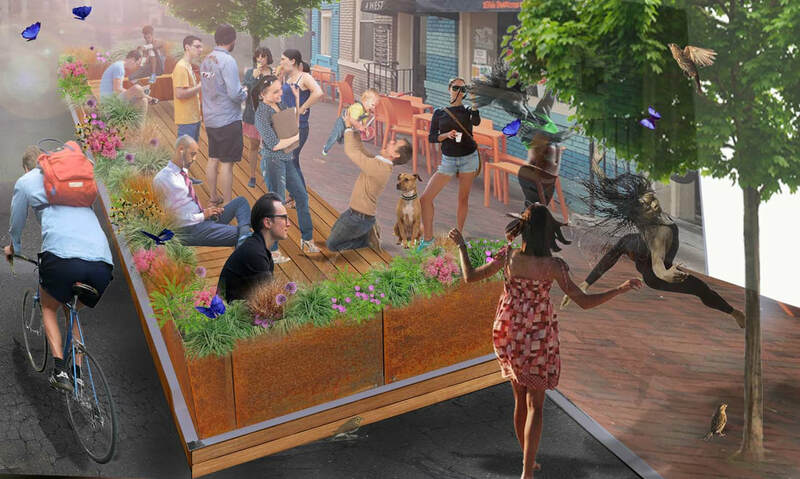 The image above was one of the first designs for the parklet in 2016. At that point, the goal was to install the parklet for park(ing) day. 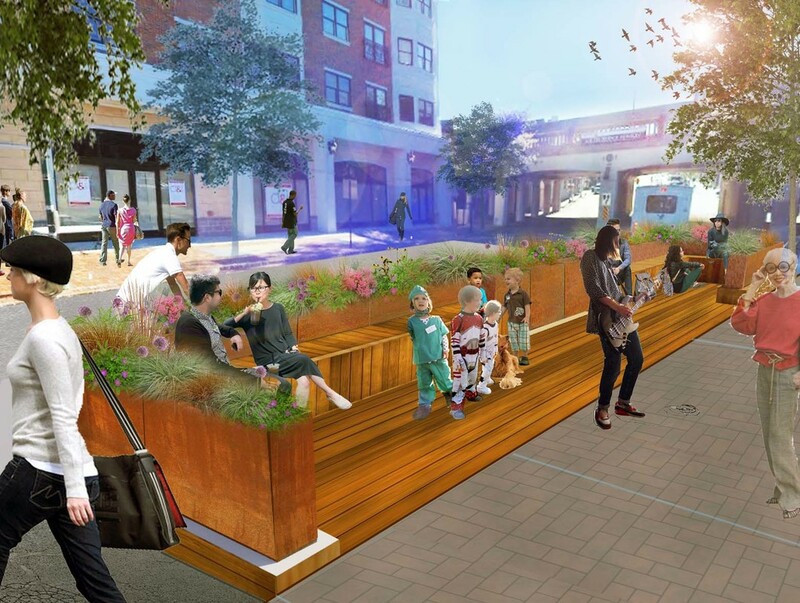 The concept evolved during the design phase so that the parklet would be up for the warmer months of the year from, say, May to September. The first design was a combination of built-in seating and turf grass with native plants located in the middle. 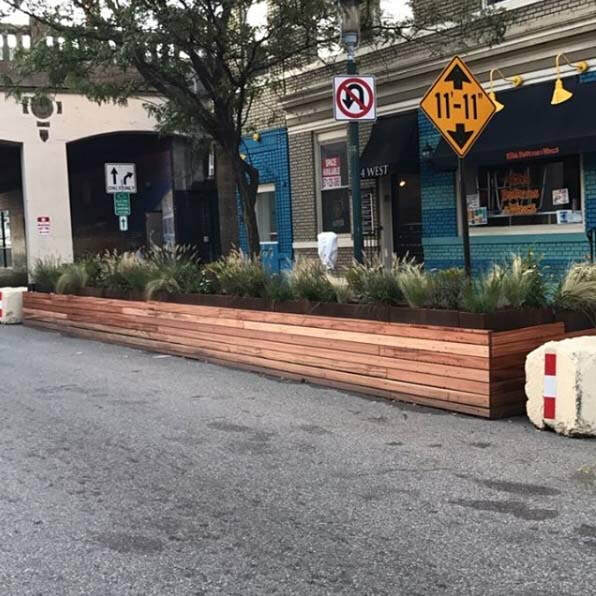 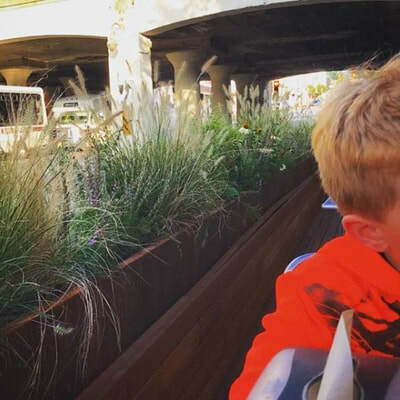 The second design of the parklet used corten steel planters as a barrier between the people in the mini-park and the cars going by. 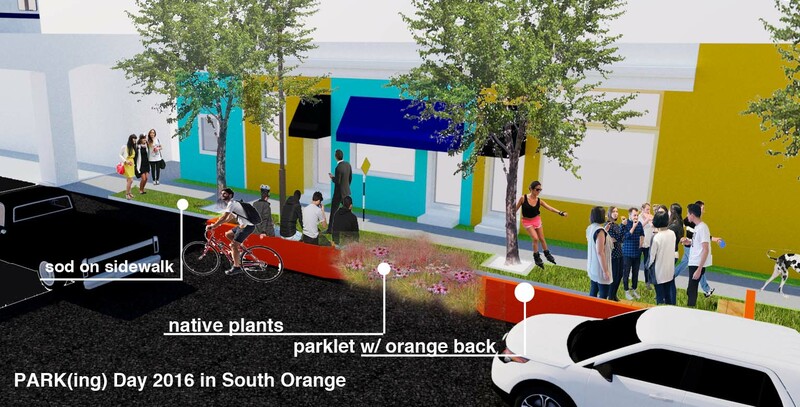 The second design incorporated more plants as well. The images below show the construction of the parklet as well as other views of the plants and materials. 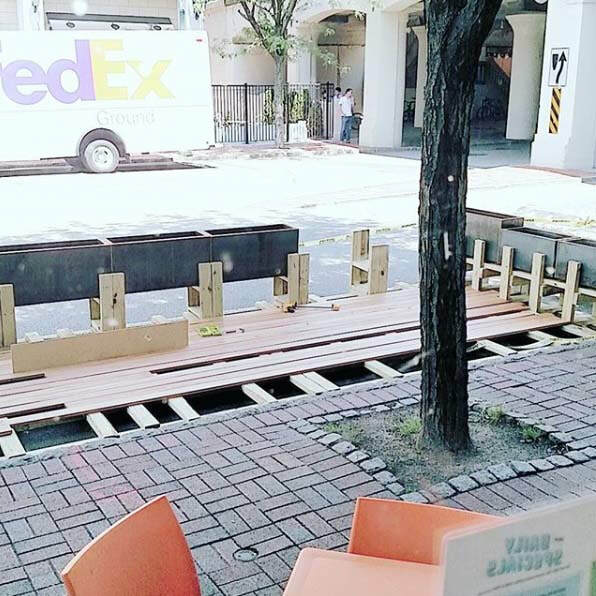 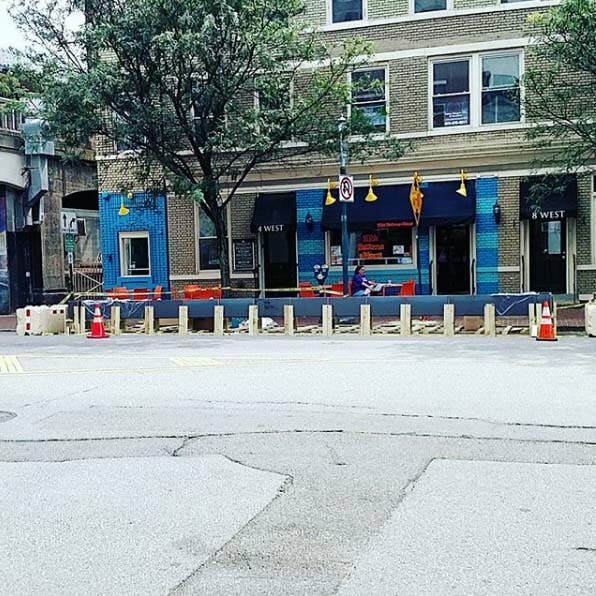 The parklet was initially installed in Aug 2017 and removed in Oct 2017. 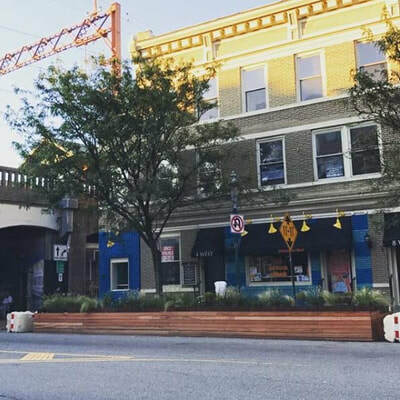 It is scheduled to be reinstalled in the late spring of 2018.